Have you heard about the new movie, Dolphin Tale, starring an all star cast including Morgan Freeman, Harry Connick Jr, Kris Kristofferson, Ashley Judd? It starts September 23rd. I can’t wait to see it I’ve been looking forward to it since Krista Dunlop told us about it in her podcast interview last summer! DOLPHIN TALE is a family film inspired by the amazing true story of Winter, a young dolphin who loses her tail, and Sawyer, an 11-year old boy who befriends her. Krista told us a lot about what went into making this wonderful, inspiring movie based on a true story that she was a part of. If you missed the interview, be sure to listen. Oh, and you might want to take Kleenex! And to inspire you further, I wanted to share this quote that so touches my heart. It’s really what my work is all about, and speaks to my mission to change the world, one animal and animal lover at a time. Earlier Americans listened attentively to the spirit voices of animals and learned lessons later citizens ignored at their peril. Be what you are, take only what you need, care for your young, and above all, no matter what, carry on. Animals are not in this world for our amusement, but for our inspiration. 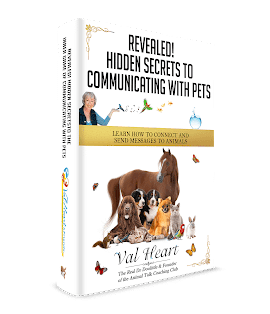 The Animal Communication System Virtual Retreat will teach you how to understand their voices, to learn the lessons others can’t hear or choose to ignore, and will inspire you deeply. I hope you make the choice to join us, so your animals can become the true teachers, healers and muses they are meant to be. When you open your heart anything and everything is possible.